Gastro-oesophageal reflux disease (GORD). ,Symptomatic GORD. ,The relief of heartburn and other symptoms associated with GORD.,Erosive oesophagitis. ,The treatment and prevention of relapse.,Peptic ulcers. ,The treatment of duodenal and gastric ulcer.,Combination therapy for the treatment of peptic ulcer disease associated with Helicobacter pylori infection.,The treatment of gastric and duodenal ulcers and erosions associated with non-steroidal anti-inflammatory drugs.,The prevention of gastric and duodenal ulcers and erosions associated with non-steroidal anti-inflammatory drugs in patients assessed as being at high risk of gastroduodenal ulcer or complications of gastroduodenal ulcer.,Long-term prevention of relapse in gastric and duodenal ulceration, in patients proven to be Helicobacter pylori negative, or in whom eradication is inappropriate, e.g. the elderly, or ineffective.,Zollinger-Ellison syndrome. ,The treatment of Zollinger-Ellison syndrome. Pink, oval, biconvex film-coated tablet with a breaking notch on both sides. The relief of heartburn and other symptoms associated with gastro-oesophageal reflux disease (GORD). Treatment and prevention of relapse in erosive oesophagitis. Treatment of duodenal and gastric ulcer. Combination therapy for the treatment of peptic ulcer disease associated with Helicobacter pylori infection. Treatment of gastric and duodenal ulcers and erosions associated with non-steroidal anti-inflammatory drugs (NSAIDs). Prevention of gastric and duodenal ulcers and erosions associated with NSAIDs in patients assessed as being at high risk of gastroduodenal ulcer or complications of gastroduodenal ulcer. Long-term prevention of relapse in gastric and duodenal ulceration in patients proven to be H.pylori negative or in whom eradication is inappropriate (eg. the elderly) or ineffective. Treatment of Zollinger-Ellison syndrome. 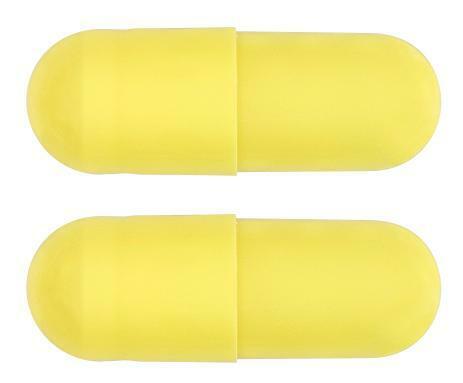 Opaque, unprinted capsules with a yellow cap and yellow body.